Nothing says autumn like pumpkins, chili cook-offs, a cool breeze, and football. Whether you are a fan of college football, the NFL, or both, we’d like to take a moment to share a little about Gridiron Heroes’ newest campaign to help young athletes who have incurred spinal cord injuries from playing the sports they loved. This fall, Gridiron Heroes “Heroes On The Road” campaign will be taking young athletes with spinal cord injuries to college football games across Texas in order to raise funds and awareness for the cause. We talked to Eddie Canales, founder of the organization, who said that the athletes will have the chance to have front row seats for some of the biggest games, as well as meet the coaches that have invited them. The Walmart cards that Eddie is referring to are gift cards, loaded with $100 each, that go out to the parents of the young individuals participating in Gridiron Heroes to assist with the costs associated with caring for someone with a spinal cord injury. The charity has already donated 15 wheelchair accessible vans so far since 2003, and is doing everything it can to make number 16 a reality. Gridiron Heroes official mission is, “To provide immediate, as well as long term, resources and support to individuals sustaining catastrophic spinal cord injury through activities associated with high school football.” Eddie told us about what makes this organization different from any other organization that addresses spinal cord injuries or diseases. The program helps many football players and athletes in other sports including a cheerleader, a hockey player, and a wrestler. While their main focus and operations are out of Texas, they are willing to help players from all around. “We get calls from all across the country now. A lot of times it's not about funds. It's just about us being able to be there for the family to create a support system so they don't feel like they have to deal with this all by themselves. That's part of what we really want to do,” Eddie said. Helping these young athletes and their families feel connected is an important part of the process since many become isolated and very frustrated with life once they’ve completed high school and their friends have moved away. Eddie also serves as a mentor for parents and caregivers who are trying to figure out what it means to have a paralyzed son or daughter, and how to handle the aftermath. “Me and my son, who is also quadriplegic, will go visit with the family and kind of guide them through the process, Because unless you've been through it, you don't understand all the work that needs to be done immediately,” Eddie said. The knowledge that Eddie and his son provide families with help on topics such as case managers, Social Security, and time sensitive paperwork is invaluable. Even Eddie’s wife is involved with helping families adjust to their new situation. Sometimes parents and coaches are surprised to learn that the organization, despite Eddie’s own son experiencing a spinal cord injury, would “never come out against football,” he said. They often ask why he would support the game still, even after the way it affected his own life. Eddie’s answer was simple. “It's more than just the game itself. It's about the tools that they instill in these kids, the hard work and determination. That discipline is the thing that they need to overcome an injury and fight for their lives sometimes. By playing the game and what they learn from their coaches, they come to value that,” Eddie said. At Lockaway Storage we fully support the Gridiron Heroes and their mission. 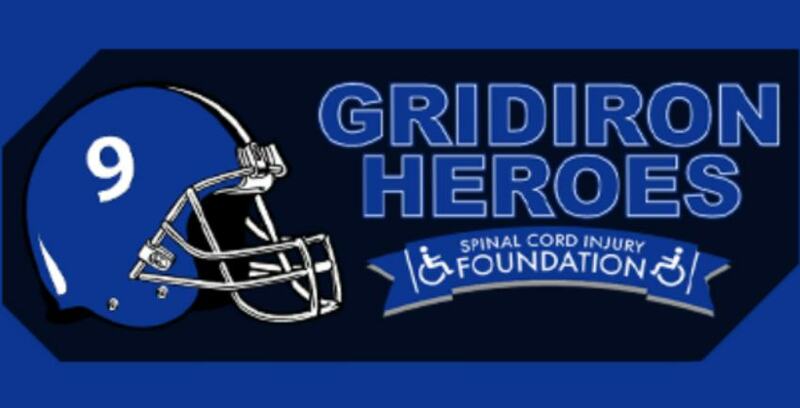 If you are interested in donating to the Heroes on the Road campaign visit their website at www.gridironheroes.org. We wish Eddie and the entire Gridiron Heroes team the best of luck this fundraising season and are excited to see them smash their goal for the new campaign!